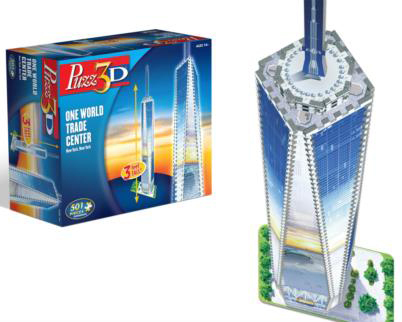 Celebrate the tallest building in the Western Hemisphere with the Puzz 3D - One World Trade Center. This 501-piece puzzle stands over 3-feet tall and is a skill level 2 structure for ages 14 and up that'll take some time to complete, but will be totally worth it to see New York's newest structure rise in your very own home! 3D puzzle of the One World Trade Center. 501 pieces. Skill level 2. Recommended for ages 14 and up. Dimensions: 36.5L x 5W x 12.75H inches.